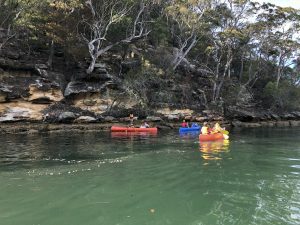 On Sunday 5th August, Tom L, our Australian Scout Medallion candidate organised and documented the planning of a brilliant project for his award requirements. 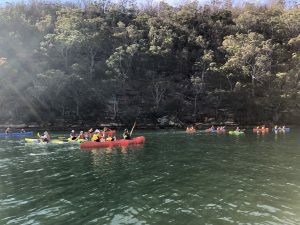 It included all sections of 2nd Gordon’s group including Cubs, Scouts, Venturers and Rovers in canoes and kayaks scouring the shorelines of Cowan Creek from Apple Tree Bay Bobbin Head for rubbish. 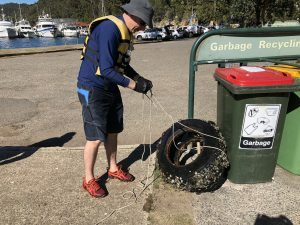 25+kg of general rubbish and a very old 20kg wheel/tyre was collected with support from Clean Up Australia (also organised by Tom in conjunction with National Parks). 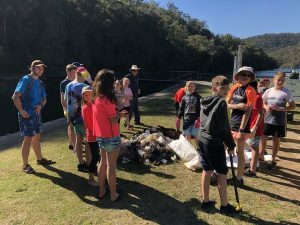 Of no surprise, a large amount of rubbish amongst the rocks and oyster shells or wrapped around trees were plastic shopping bags and bottles of all shapes, sizes and materials. And the two oddest items we found were a rusted out cast iron camp oven and a pitch fork with wooden handle intact. The weather was another beautiful warm Winter’s day. Leaders from all sections were present. 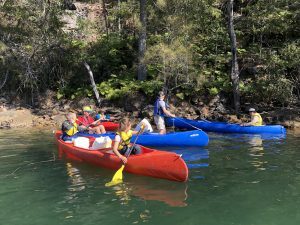 This activity was particularly inspiring because it entailed conserving our natural environment, inter-group socialising, and most of all, a fun way to do it by paddling! We wish Tom all the best in finishing his ASM before moving up a section to Venturers. 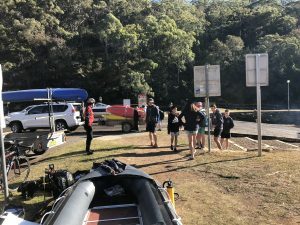 Thank you to all members and parents who helped out today to make this happen for Tom, Bobbin Head National Parks for hosting us, and West Pymble Scouts for the loan of extra canoes.